The EZR2's screed plates are paired with state-of-the-art heating elements held in place by full length hold downs, providing even, efficient heat transfer to the upper surface of the plate. 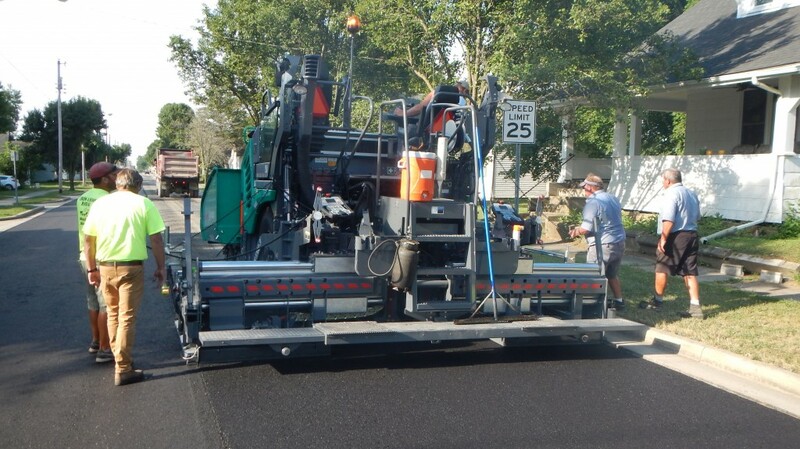 Featuring a standard paving width of 8' to 15'6" and weighing 7,600 lbs., the EZR208 achieves superb mat quality and ride uniformity with its class-leading 20-inch deep, single piece screed plates. Providing more screeding surface area than competitive screeds, the EZR2's screed plates not only achieve higher mat quality but also produce longer component lifecycle. The EZR2's screed plates are paired with state-of-the-art heating elements held in place by full length hold downs, providing even, efficient heat transfer to the upper surface of the plate. Like all Carlson screeds, the EZR2's element hold downs all the ability to change out elements without the need to drop the screed plates. Akin to the 10-foot model, the EZR208 is engineered with Carlson's exclusive extension support system that provides unequalled strength even at 22-feet with bolt-ons. Whereas competitive models rely solely on the chrome rods for strength and support, the EZR208 features Carlson's exclusive extension support system with a high strength tubular frame to which the chrome rods are firmly fixed to. This means the chrome rods only act for fluid inboard and outboard motion, while the high strength frame provides leading extension rigidity and elimination of flex at wide widths. Carlson, long a leader in providing crews intuitive platforms for safer, more comfortable operation, continues to do so with its new 8-foot rear mount platform. Featuring deep telescoping walkways, the EZR208 creates a safer operating platform while the low profile extensions provide leading line of sight to the paver's augers and head of material. Operator comfort is furthered by the standard equipped vibration absorption pads located at each operator station. Conveniently located cup holders, tool trays and legendary Carlson oven, available for most tractor builds, all come standard to make the EZR208 the leading 8-foot rear mount platform for comfort, performance, and safety. The EZR208, like all Carlson screeds, is offered through OEM paver manufacturers and available through any North American dealer that carries a major highway-class paver line.